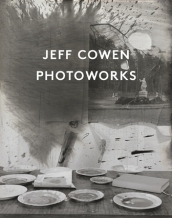 ‘A Question of Finish: thoughts on the work of Jeff Cowen’ is an essay commissioned for Jeff Cowen’s book Photoworks, published by König in 2016, on the occasion of a major traveling exhibition of his work. Although the exhibition had no overall style and drew upon works made in many different media, it was dominated by painting and sculpture, and I could not help noticing the near absence of photography. The omission could not have been due to institutional aversion, or indifference to the medium: the Metropolitan has been collecting and showing photography in ambitious ways for a long time. So, might it be that photography cannot be unfinished? Or, to put the question slightly less clumsily, is photography finished by default, in ways that would disqualify it from such an exhibition? If not, what might an unfinished work of photography look like?